TOA CHRIS WONG Earned his physical therapy degree from Hong Kong Polytechnic University in 1994. Dr. Wong completed his acupuncture certification training at Hong Kong University and internship in Kunming, China in 1995. He also completed another three-year Diploma acupuncture course at American International Acupuncture Institute in 2000. In the same year, he finished his master degree in physical therapy with the focus on developmental disabilities. His academic ambition and pursuit of excellence drove him to complete his doctorate at New York University in 2007. In 2011, he became the diplomat of the Academy of Integrative Pain Management after passing the vigorous test. He is a listed clinician in Vestibular disorders association, and BCIA board-certified biofeedback practitioner. 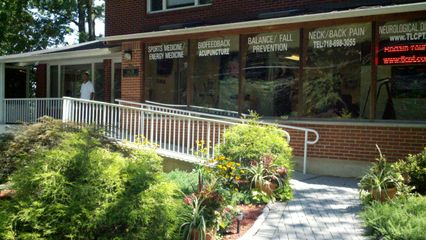 Dr. Wong is a board-certified orthopedic clinical specialist, OCS, by the American Physical Therapy Association.